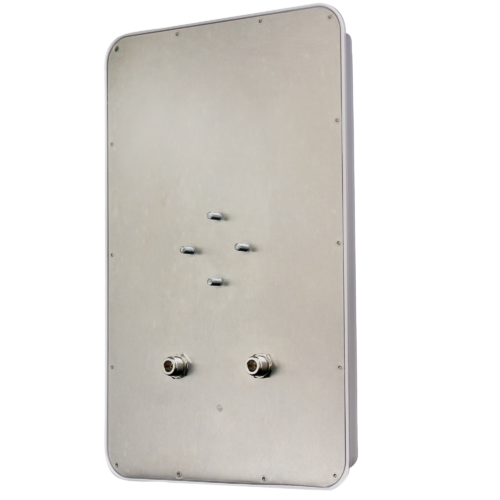 The HAO14MD Hi-Gain™ Outdoor 14dBi MIMO Directional Antenna Kit is an antenna for extending the range of your 802.11 b/g/n Wi-Fi devices. The HAO14MD increases the wireless strength from a standard 2dBi (decibels) to a staggering 14dBi, resulting in a 500% increase in the wireless coverage and strength. 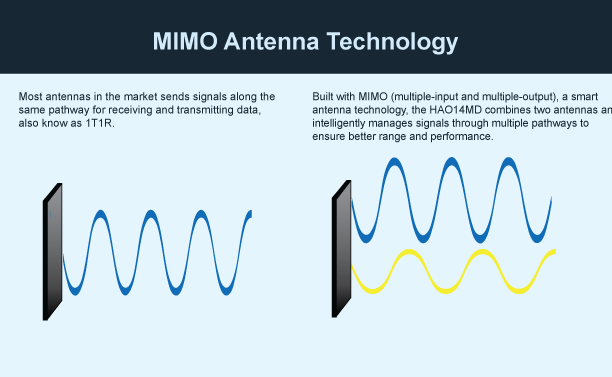 Simply replace your device antenna with the HAO14MD. 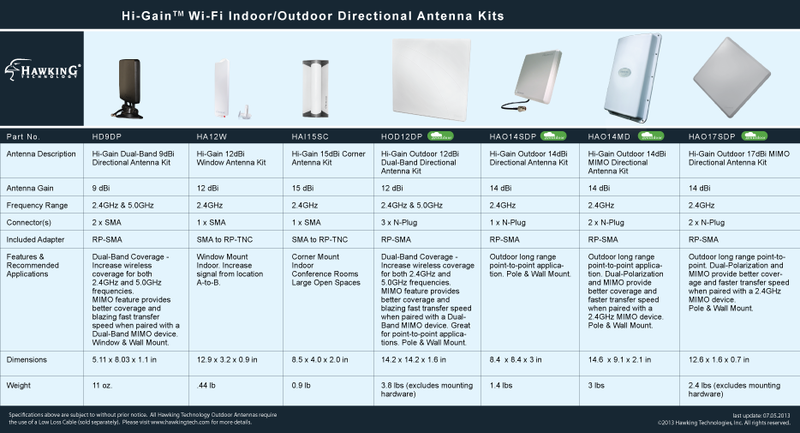 The HAO14MD Outdoor WiFi Directional Antenna has two SMA adapters, the most commonly used antenna connector. 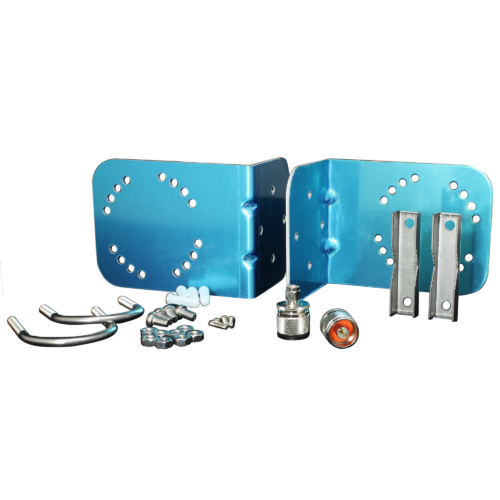 For other type of adapters, please visit Hawking Tech’s website for additional selections. 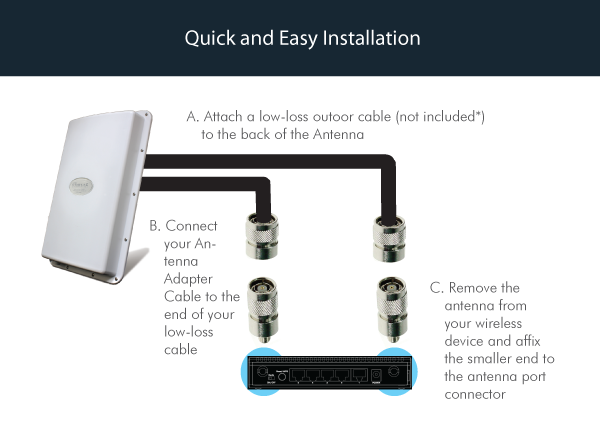 Note: An outdoor low loss antenna cable (model number HAC10N, HAC20N, or HAC30N) is required for outdoor installation and must be purchased separately. Depending on your set up, a shorter cable is recommended for minimal signal degradation (cable loss) due to cable length. 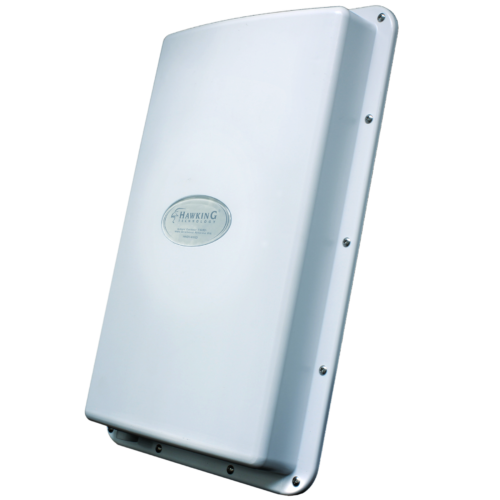 the directional antenna does not give off signal directly below or directly behind the product. 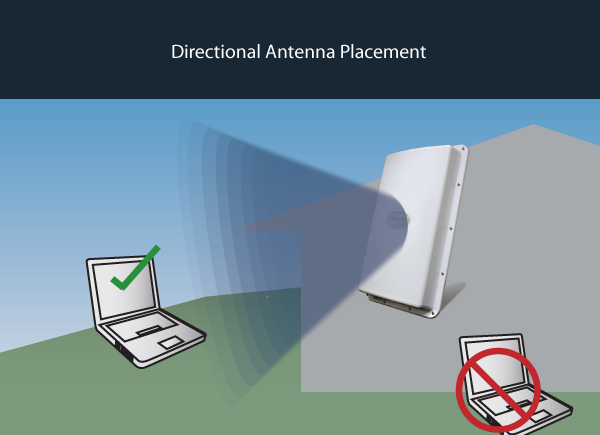 You will receive optimal wireless signal by placing your wi-fi enabled device within the designated area. Adjust the antenna as needed. 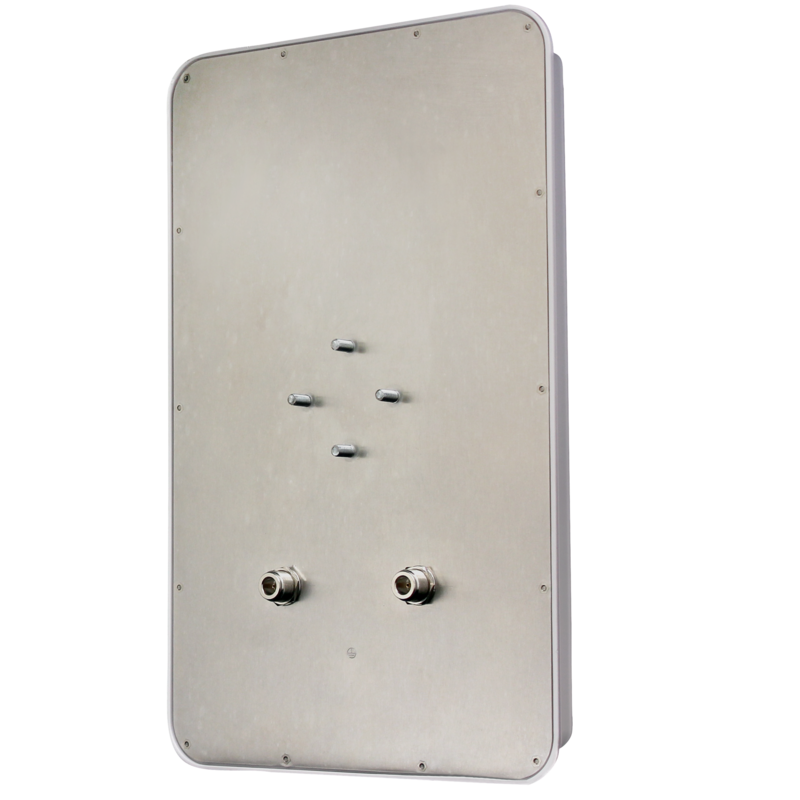 Dimensions: 14.6 (H) x 9.1 (W) x 2.1 (D) in.